I've been using a GG vapor trail for the last couple of years (long distance hikes) and am quite pleased with it, needs a wash though . But in an attempt to further reduce my overal weight i'm looking for a new pack. Is use a TT rainbow, max POE max thermo 6 reg(looking for a small one) and arklight pipedream 400 as my big 4. Would like a capacity of 5-7 days of food. I hang my 1l platy holster on a strap with 2 small carabiners so it doesn't dangle around all the time and occaciosionally put a second platy in a side pocket. The pack needs to be able to carry around 25 pounds max. on a rare occasion 30, but i want a pack that puts most of the weight on the hips. A lot of pictures you see with the UL frameless packs, has the packs pulling away from the shoulders, which i feel (no experience though) is all but comfy. I've been checking out Gossamer Gear (Mariposa plus 2008), ULA (conduit, relay), MLD (zip, exodus) SMD (starlite, comet, essence, Golite Jam2 (2008) and GG Virga. MChale out of the question. They almost all but SMD and GG lack load lifters, brings the pack closer to your back, which i prefer. The Gossamer Gear mariposa + uses the most fragile fabric of all. The golite Jam2 is the cheapest of the bunch and can be picked up secondhand, but i have concerns about the hip belt efficiency and the lack of load lifters. The ULA and MLD packs are superbly crafted, but pricier for me (although it's possible to find a relay secondhand i think). SMD is the heaviest of the bunch. GG virga lacks a good hipbelt. Another problem i have is that i live in Europe, so i can't try-fit any of them, and it drives the price up signifficantly. For example i would have to pay around 220 bucks for a ULA conduit with hipbelt pockets and handloops. For the MLD or SMD packs it's about 265 and if it's a bad fit, costs for shipping it back and habing another size shipped. But i can get a Jam2 from the uk or secondhand for a third of that or the Gossamer Gear mariposa plus for half. Budget is importent too. I also read a comment from Brian of ULA on another forum was that the frameless packs are designed to ride high, which is not what i want. 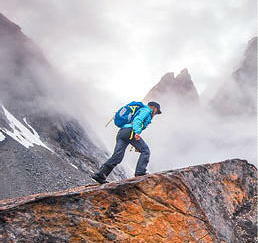 "The Gossamer Gear mariposa + uses the most fragile fabric of all." Well, the "plus" model has stronger fabric than the straight Mariposa. I carried a Mariposa Plus on my PCT thru-hike in 2008 and the fabric wasn't a problem, no rips or anything apart from the external mesh (which seems to get torn up on any pack). I did have some minor issue with the pack strap attachments, but I was also carrying beyond the claimed weight limit in the Sierras, and it didn't fail. Note that the new Mariposa Plus version has curved stays that are supposed to "greatly improve the fit and comfort of the pack" and "increases the load transfer capability and allows the pack to hug your back better providing a snug fit and virtually eliminating the need for load lifter straps"
Since this is new in the 2009 model, you won't get any feedback from folks on how it works, but I would give Glen of GG some benefit of the doubt here ... it's already a good pack, and as good if not better with this change. Since you said you're doing long distance hikes, inevitably an ultralight pack isn't going to last forever --- they can hold up well (I'll use the GG pack from the thru-hike again this year), but they're not going to last for decades of hard use. This for me might change the cost trade off. I.e., if you can get a Mariposa Plus for half the cost of an MLD or SMD pack, I would be inclined to go that route. I did pick up a SMD Starlight in Dec., it has load lifters and I got a 20% discount that month. Weights 25 oz. and replaces my torn Golite Gust that got dragged over rocks on my week long, xc trip in SEKI last summer. Dyneema is very good material, but very susceptible to damage when caught between a hard sided bear canister and rocks. 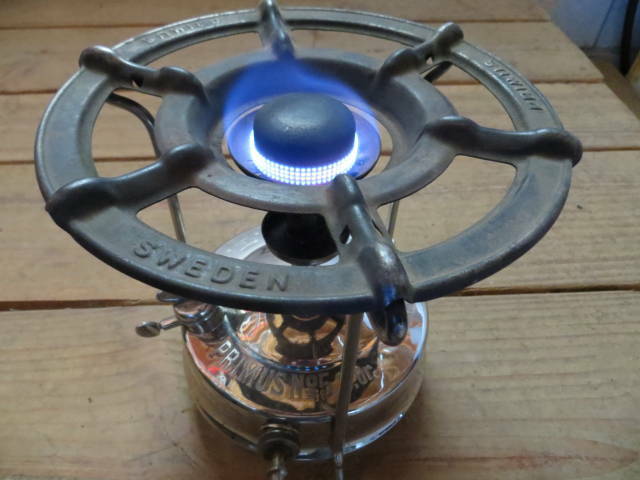 I have not had an opportunity to use my Starlight and it is only big enough for my summer gear, not winter camping, unlike my Gust. I went with it because of the fabric, I thought it would last longer than silnylon. Maybe I didn't see where the Mariposa could be bought in a more robust material. I spent a couple weeks or more comparing Golite, GG, SMD, ULA. I think the negative comments about each decided me. The Z Pack would be vulnerable to sharp objects, but I had read where it made it thru the PCT. It seems all the packs are going back up in weight. I wonder if it is because of consumer complaints about comfort. ?? "Maybe I didn't see where the Mariposa could be bought in a more robust material." My bad ... I looked just now and I don't see a straight Mariposa sold by GG anymore, just the "plus". I'm sure that both models were sold last year; I'm guessing that folks that went for the Mariposa model mostly went for the "plus", and others went for one of the other models (Miniposa, G4). Maybe this, but definitely the advent of the GG Gorilla model seems to confirm --- at least on the GG site --- your feeling that packs are going back up in weight. For the smaller companies like GG, I would guess that this is very much customer (demand) driven. I'm sure the Gorilla fits some particular niche, but for a light pack with stays, I still like the Mariposa Plus better. I have no direct experience with any of the current alternatives. I didn't see the Gorilla a couple weeks ago. My new SMD Starlite is almost half again as big and is less than an ounce more. Just money. I have only bought four packs now in over 35 years of bping. My first one, a Camp Trails external frame pack, I used for over 20 some years, I gave away. I had to replace a lost clevis pin on it, in all the years I used it. I am a real fan of the Six Moon Designs packs. I have had an older Comet for almost three years and have never even considered another pack. With the stays (but without a stiff pad), I carried over 35 pounds for a few days last summer. My shoulders, back and hips were just fine, although my knees and feet were screaming. When this pack arrived on my doorstep in June of 2006, I loaded up all my gear plus the equivalent (in both weight and bulk) of a week's food. I then hoisted the pack and did a really boring "hike" around my house for two hours. The pack felt as though it had been custom made just for me! Your Mileage, of course, May Vary, but the Six Moon Designs packs (Comet, Starlite, Traveler) are definitely worth your consideration. I was on a overnight snowcamp trip over New Year's, one young man, Jason always has a much smaller pack then me and doesn't seem to have a shortage of necessary gear. Anyway, he had a pack around the same volume as the new Starlite I picked up, which I packed all my summer gear in to make sure it would work when I got it. His pack was loaded with winter gear and included a bear canister. Just amazed me how he does it. I didn't have any extra stuff or luxury items. I'm not overly harsh with my gear. The mariposa plus i can get over in the UK is the 2008 version, with the two carbon fibre stays. I could get some aluminium or delrin rods to use these instead of the arrow straight carbon ones as these would actually take the form of my back. Was the weight concentrated on your hips with the mariposa plus ? Did you use the foam inserts for the hipbelt or did you just stuff it with some spare clothes ? "I could get some aluminium or delrin rods to use these instead of the arrow straight carbon ones as these would actually take the form of my back." I personally wouldn't bother; I was happy with the CF stays, I don't see how stays that are the "form of my back" would help. "Was the weight concentrated on your hips with the mariposa plus ? Did you use the foam inserts for the hipbelt or did you just stuff it with some spare clothes ?" The stays do help some with load transfer, as does having a stiff pad inserted in the pad slot --- I just use the tri-fold torso pad that they (GG) sell. In terms of weight being concentrated on hips --- in any pack, that's a lot to do with the individual and how they wear the pack. I.e., cinch the pack strap up tight enough and more (or all) of the weight is on your shoulders. I tend to leave them somewhat looser to put the majority of weight on my hips. The GG isn't the best pack in the world in this regard, but if you get your overall gear weight down, then also lightening the weight of the pack itself means there is hopefully a lot less weight to be transering to any part of your body! I did use the foam inserts in the hipbelt, as well as in the shoulder straps. My personal opinion is that trying to put small articles of clothing in would be a PITA, not worth the very minor weight savings. But I'm not an ultra-light backpacker, my base weight is in the 14 - 15 pound range for a typical trip. One caveat on the 2008 and earlier version of the Mariposa is that the rumors of getting stains on the back of your shirt from the pack are true, or at least have been true for me ... the dye they use on the black mesh that holds the pad in. There might be something that can be done to minimize this (? ), or just wear a shirt you don't care about, especially for the first few trips you take with this pack. It stains things a sort of dark purple color, if I recall correctly. Thx for your input, appreciate it. I'm hoping some jam2 user get chimed in on here. I've use a Jam2 on occasion, just because I hike in a pretty rocky part of the world. Mine has held up fine, and I'm pleased with how it carries. I just replaced the foam pad in it with the blue foam CCF pad from Walmart, just to see what it's like. I also have a Mariposa, and I was happy with how it carried. Just sent it back for the retrofit with the aluminum stays, much nicer now. Can't really see a need for load lifters with the new curve; sure don't need them if you don't overload it. And FYI, the Gorilla is identical to the Miniposa, just a tougher, heavier fabric, and aluminum stays.